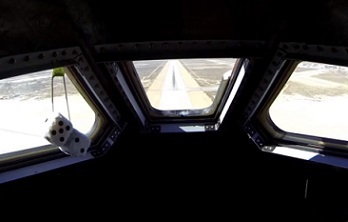 Sierra Nevada Corporation (SNC) successfully completed another key milestone for their Commercial Crew Integrated Capability (CCiCap) contract with NASA this week. 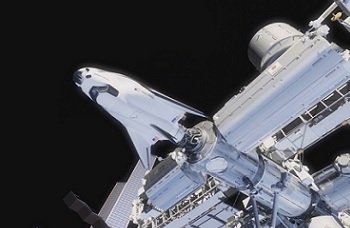 Known as Milestone 7, the Certification Plan Review for the entire Dream Chaser Space System (DCSS) covered the vehicle’s full design certification and outlined how SNC would operate its first crewed flight to the International Space Station (ISS). 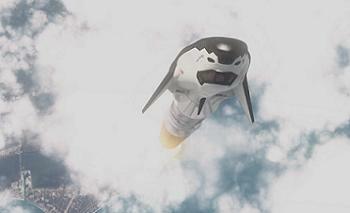 SNC have been buoyed by a number of recent announcements, not least relating to their commercial crew efforts. Last week’s announcement of a “cooperative understanding” with ESA and the German Space Agency (DLR) also boosted the vehicle’s future potential as a multi-purpose, multi-mission spacecraft. The Dream Chaser Engineering Test Article (ETA) has since arrived back in her home port in Colorado, following her eventful exploits in California. The vehicle will now enjoy a period of outfitting and upgrading, preparing her for one or two more flights – listed as ALT-1 and ALT-2 – beginning later this year. Both will once again be conducted at the Dryden Flight Research Center in California. The ETA will never taste the coldness of space, with her role not unlike that of Shuttle Enterprise, a pathfinder vehicle used to safely refine the final part of the mission for the vehicles that will follow in her footsteps. The Dream Chaser that will launch into orbit will be called the Orbital Test Vehicle (OTV), which is currently undergoing construction at the Michoud Assembly Facility (MAF). Debuting atop of the United Launch Alliance (ULA) Atlas V, the OFT-1 (Orbital Test Flight -1) is scheduled to take place in late 2016. 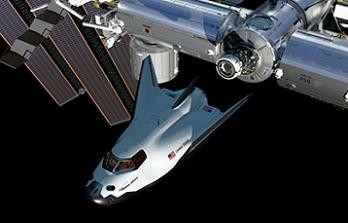 This flight will be automated, testing the entire Dream Chaser system, prior to the crewed OFT-2 mission in early 2017. The recently completed Milestone 7 in the CCiCAP requirements covers Dream Chaser’s missions through to what will be a historic arrival at the orbital outpost. “In passing Milestone 7, the DCSS has successfully completed one of the most critical milestones on the road to Dream Chaser full design certification and outlined how SNC would operate its first crewed flight to the International Space Station (ISS),” noted SNC in an announcement on Thursday. SNC, joined by NASA, reviewed the overall certification strategy, and verification and validation activities for the DCSS. Notably, the DCSS is not just the spacecraft, but also the Atlas V launch vehicle, along with the associated ground and mission systems. The company added the review resulted in nearly 6,000 pages of technical support documentation, successfully meeting the exit criteria in its agreement for Milestone 7. “The passage of this milestone confirmed SNC’s integrated certification strategy, process and plans are now complete, further documenting that the DCSS design is maturing toward compliance with the functional, performance and interface requirements to operate in its intended environments,” SNC added. Dream Chaser is currently competing against two other main CCP contenders – SpaceX’s Dragon and Boeing’s CST-100 – for the honor of regaining American independence for the transportation of NASA astronauts to the International Space Station (ISS). NASA is currently paying hundreds of millions of dollars to Russia for seats on the Soyuz spacecraft. 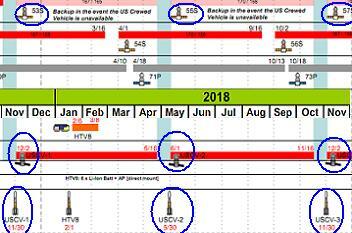 That opening Commercial Crew Program (CCP) mission is called USCV-1 (US Crew Vehicle -1), currently manifested for a November 30, 2017 launch, followed by a docking on December 2, 2017 – per L2 long-range scheduling documentation. 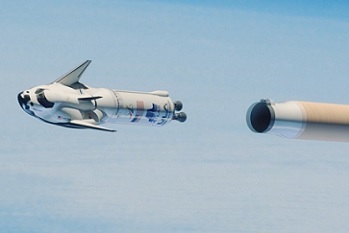 Mark Sirangelo, corporate vice president and head of SNC’s Space Systems, recently told the media he was confident his vehicle would receive the call sign of USCV-1, although Dream Chaser will have to avoid losing out in the upcoming CCP downselect process. Details of the downselect are sketchy, although it is understood one or two companies are likely to lose out on NASA funding. A potential scenario that has been put forward by sources claims two providers may survive, one at full funding, another with half funding – the “1.5” scenario. It has also been suggested that SpaceX and SNC are classed as the front runners. Per Thursday’s announcement, Mr. Sirangelo remains confident Dream Chaser will continue to gain NASA support and eventually return the domestic capability lost when Atlantis closed out the Space Shuttle Program (SSP) when she landed at the Kennedy Space Center at the conclusion to STS-135. “The completion and validation by NASA of Milestone 7 is a major step in leading us to our first crewed, orbital flight of the Dream Chaser Space System,” noted the head of SNC Space Systems. “We have now completed 70 percent of our CCiCap contract.